My name is Lucia (but my friends call me Lucy) and I'm from Chisinau, Moldova. While many travelers visited or at least heard of it...there still are those people who think Moldova is Maldive..oh no...I WISH! Let's clear this..where on earth is Moldova? 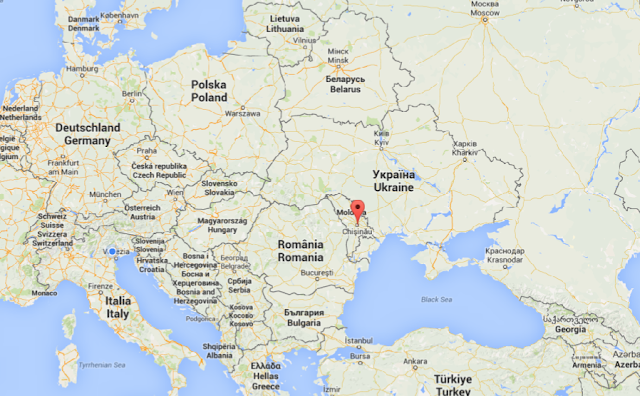 It's right there between Romania and Ukraine. But I'm currently living in Italy, don't know for how long because my curiosity and my itchy-travel feet would gladly take me on another continent or at least country, but while I'm still here I plan to see the most of it because Italy is so big, beautiful and full of wonderful places. The world is full of beauty and I want to explore new places, new culture, local food, habits and music, so many things to do… and I can’t wait to see and try more of it. I think my love for travel started when I was a child.. I still remember my first flight at 3 years old with my mom and then my first boat trip on the black sea in Ukraine.. and I remember my vacations in Bulgaria, those were incredible times and unforgettable memories. And now my mom isn't very happy about me travelling too much (in her opinion) and who's the one to 'blame'? Anyway, I'm not always alone, sometimes I travel with a friend, other times I meet my friends or just make new ones and I couldn’t be happier about it. What makes me happy beside passport and suitcase? You know..the simplest things like sunrises and sunsets, music, bright colors and lights... many colorful lights, night view of cities, flowers, taking photos, walking, dreaming, laughing, sunny days, fruits, hugs aaaaaand free wifi.